Winter is coming. The VYIZE polar fleece touch screen gloves keep your hands warm outdoors while allowing you to smoothly operate your smartphone with your fingers. Need the feature? Let’s keep checking. This is a pair of useful touch screen friendly gloves that perfectly work with your mobile devices. The one-size-fits-all and unisex design allows the gloves to fit all female and male wearers, and two different patterns ensure they meet more personal preferences. The touch screen gloves are made of velvet and polar fleece, a very elastic and soft material in order to provide a breathable and comfortable wearing experience and keep your hands warm in the cold winter. Furthermore, the conductive material has been applied on the thumb and forefinger so you can effortlessly use your smartphone, tablet and touchscreen equipped laptop with the gloves. In addition, the anti-slip dispensing particles provide an enhanced grip when you keep your phone in your hand. 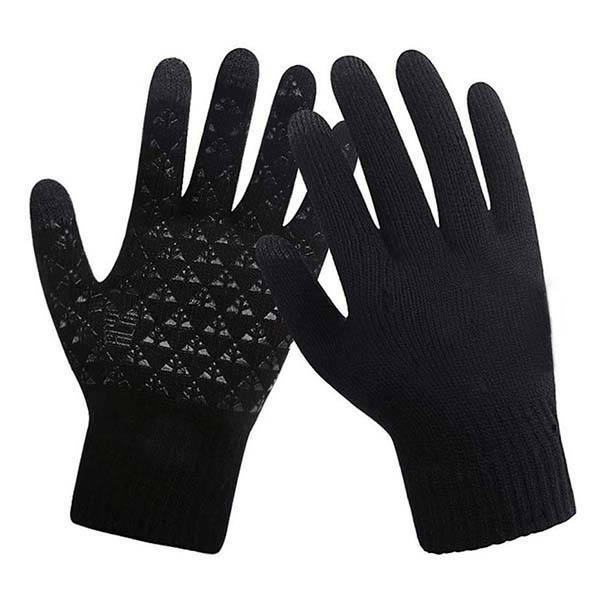 The polar fleece touch screen gloves are priced at $9.99 USD. If you’re interested, jump to the product page for its more details.